"As a yoga teacher myself, I appreciate quality instruction. I can assure you that you'll get that from Angela. She is trained in both Pranakriya Yoga and Prenatal/Postnatal Yoga. The combination of styles makes her extra sensitive to the needs of pregnant women and mothers of infants. I watched her focused care with her own body in adjusting her practice in my classes when she was pregnant with her daughter. Coming from the perspective of being a young mom of two little ones helps her to understand the challenges of the physical body as well as the emotional and spiritual bodies during this sensitive time. I would not hesitate to recommend Angela as a strong, insightful yoga teacher to anyone, of any age or gender. But I am especially delighted to recommend her in teaching, guiding, mentoring young mothers through prenatal yoga." Angela is a certified Pranakriya Yoga and Prenatal Yoga teacher and mother of two littles. Yoga has been her cornerstone throughout many life transitions especially the transformative childbearing years. She has a Bachelor’s degree in Therapeutic Recreation and loves the therapeutic aspects of yoga. Compassionate and nurturing, she enjoys weaving some restorative elements into each class. Her personal practice constantly informs her teaching. She has trained with and been inspired by many teachers including Yoganand Michael Carroll, Barrett Lauck Reinhorn, Steven Valloney, Kathy Bolte and others. Angela lives and teaches in Riverside, CA and plans to continue her commitment to studying more yoga and deepening her practice to share with others. In addition to teaching yoga, Angela loves the outdoors! She leads Tinkergarten classes (outdoor classes where children learn through play) here in Riverside. Nathan took his first breath in 1981, and has been learning how to breathe ever since. He is a certified Pranakriya Yoga teacher and has trained extensively with Yoganand Michael Carroll, Steven Valloney, and many others. Nathaniel is an artist, scientist, and yogi currently residing in Riverside, CA with his wife, Angela and their two children. They enjoy co-teaching yoga workshops and spending time with their kids in nature. For fun they like to stay active physically as well as mentally. Very often they are hiking, camping, and exploring the natural world as a family. They strive to live life fully alive in every moment and to teach their children to do the same. ​with Yoganand Michael Carroll in April 2012. This 200 + hour training meets or exceeds standards set forth by Yoga Alliance. through Five Points Yoga and Barrett Reinhorn in October of 2014. 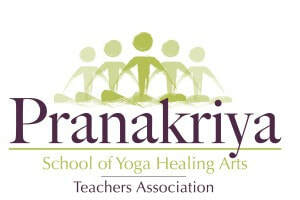 ​This 85 hour training is Yoga Alliance approved.